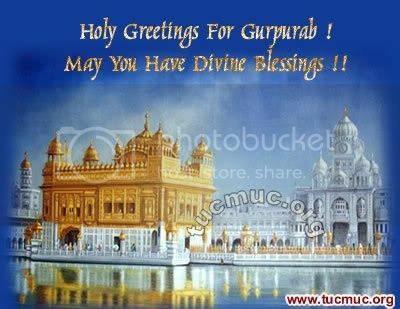 Wish your frendz "Happy Gurpurab "with these beautiful images. 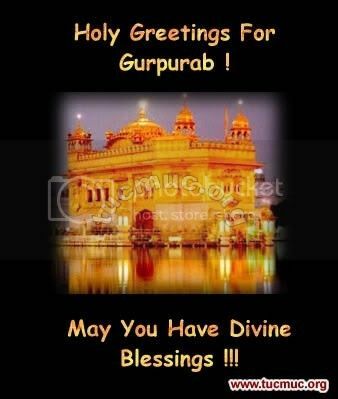 A Sikh festival or special day is called Gurpurb, meaning "Guru's remembrance day". The celebration is generally similar for all Gurpurabs; only the hymns and history of a particular occasion is different. 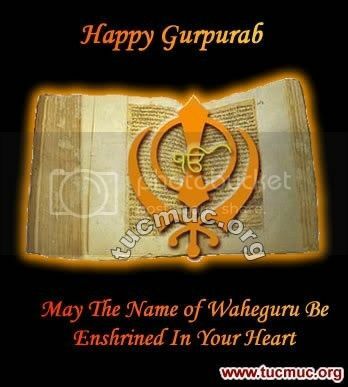 Sikhs celebrate Guru Nanak’s birthday and the other Gurpurbs with an Akhand Path, a reading of the Sikh holy scriptures, the Guru Granth Sahib, continuously from beginning to end. 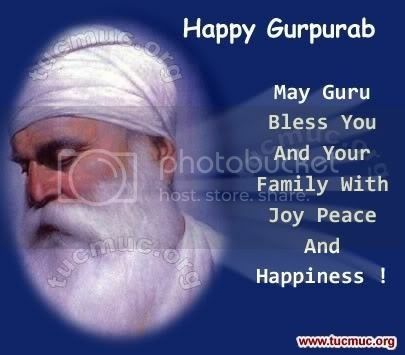 The first gurpurab is celebrated in the month of October-November, in remembrance of the founder of Sikhism, Guru Nanak.